I kinda got in the way of this big guy, as he was being guided into the river for a wash. I did however, stand there for just a few more seconds to get some pictures, before running away from his path. And for those few seconds, i could've sworn that the big guy was looking straight at me, almost through me, saying "Never forget". And that's exactly what this picture does to me. Beyond the whole elephant orphanage concept at Pinnawala, there's a sort of sadness in its commercialization. 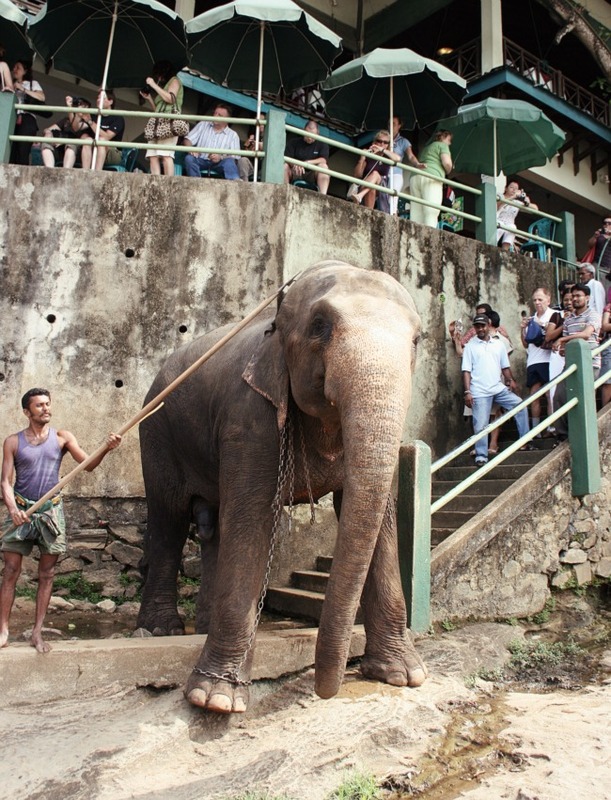 The mahouts have become people who value tourists more than the animals themselves. They are fed and bathed in conditions not natural to their otherwise rightful habitats. Has this place become more about the tourists and the money they bring, than the actual preservation of elephants? I want to say no.